For their sanity and yours, kids need to play outside. To give them a daily dose of fresh air. 15mins of sun for their Vitamin D quota. Active play, running and jumping to burn off all that endless energy. So, here are some ideas to get them outdoors while it's still hot. Worried the neighbours might talk? Go for swim shorts & bikinis instead. Making fashion statements your thing? 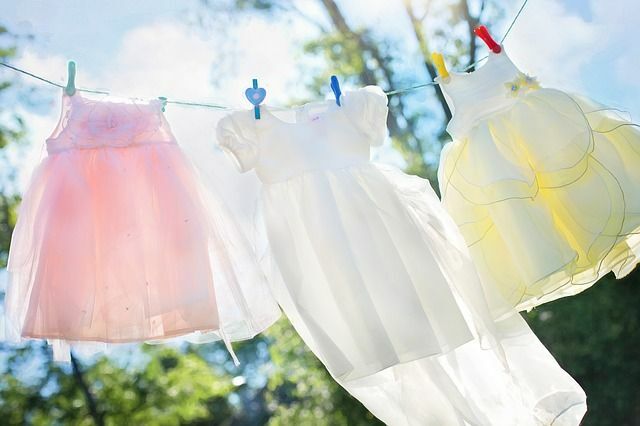 Light airy loose fitting cotton clothes will be your preferred choice. But let's just make sure the idea of sticky sweaty clothing doesn't prevent them from wanting to go outside. The actual setting up is a great fun outdoor activity in itself - don your best bathing suit, have plenty refreshments ready and pick your project. Sounds too labour intensive? Scroll down to nr. 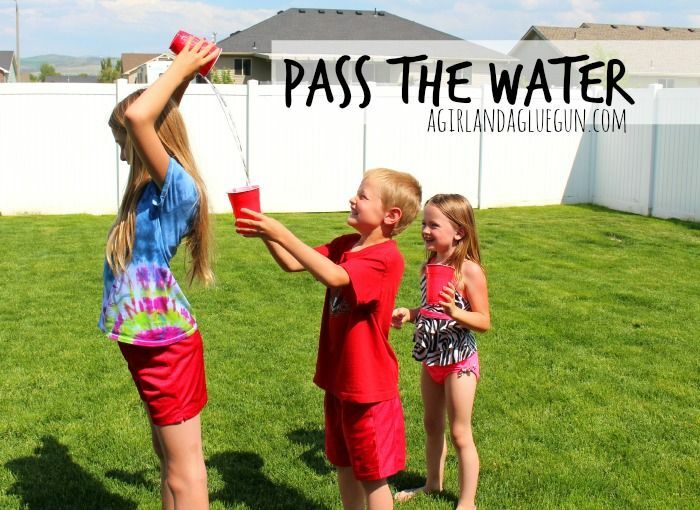 5 for the best water games that require minimal preparation and parental participation. 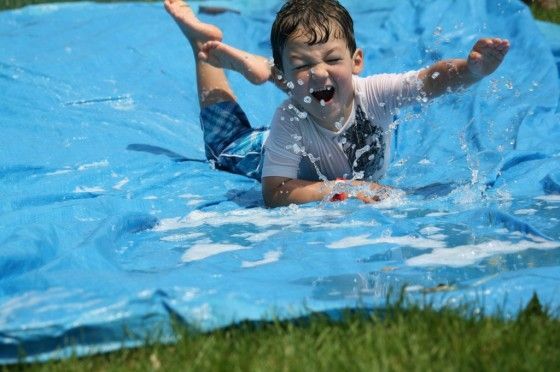 A homemade Slip and Slide is great fun for all ages. Set up competitions who can slide the fastest or the furthest. Turn it into a soap footie pitch and run a tournament. And for the youngest players, use rings and tubes to slide along. Do you have a slide in the garden? Turn it into a soaring Slippery Slide by laying out the tarp right at the bottom and attach your garden hose at the top. 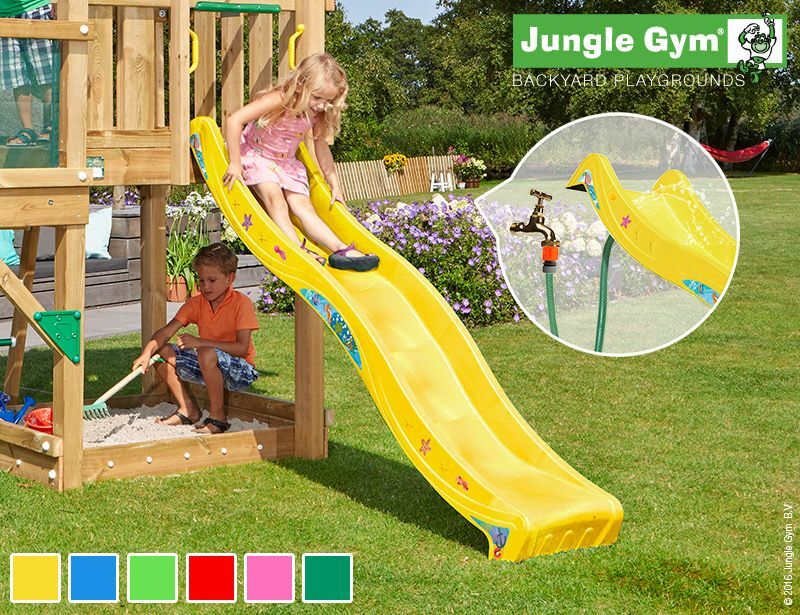 Jungle Gym slides have a handy attachment for quick activation. Movement of water is magical. Trying to control it, is the best learning experience. 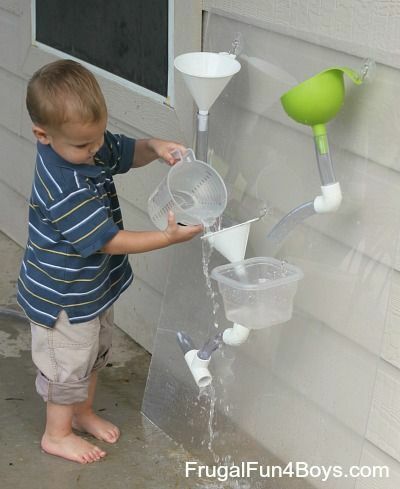 Excite your kids with water experiments, let them build water ways with tubes and funnels and watch them learn. Pouring down water at the top, following it running downwards via homemade structures, watching it streaming through tubes and falling through funnels, adjusting positions until they have created the perfect vertical river. 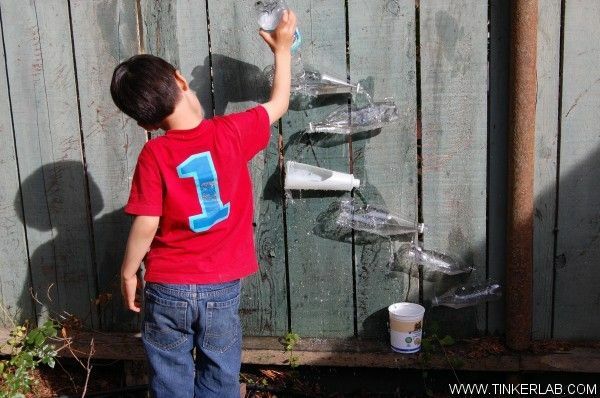 A water wall provides refreshing outdoor play for hours on end. 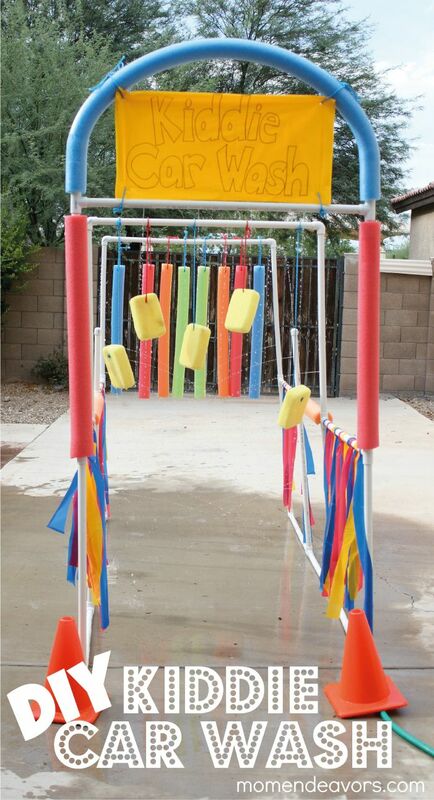 Your quick & dirty solution for water fun in your own backyard. Add an element of surprise by playing musical chairs - when the music stops, the tap is switched on... who is the (un)lucky one jumping across & getting soaked? Any dusty and sandy riding toys lying around? Now is the time to pull out all cars, tractors and bicycles and take them through their very own Drive Through Car wash! Intimidated by the details of this structure? Don't be! 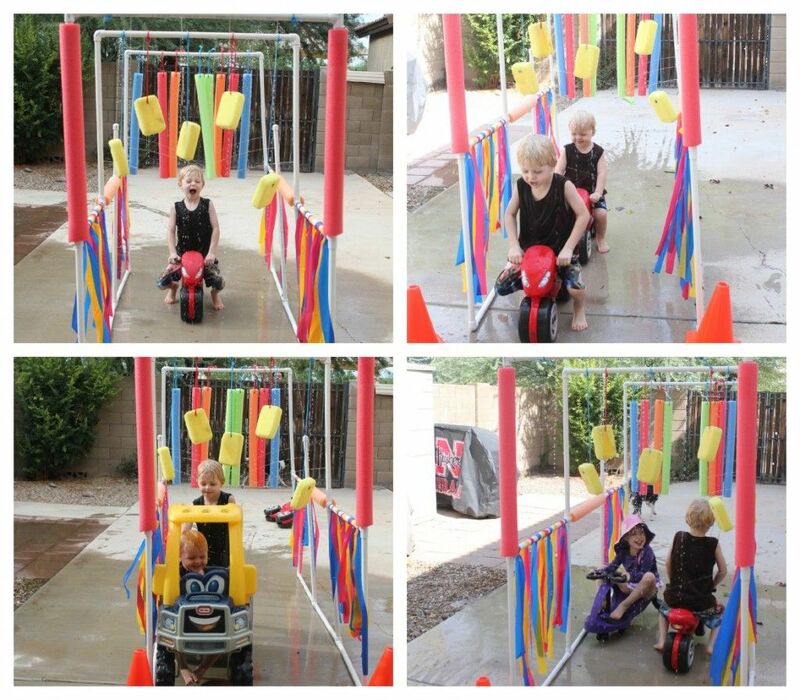 After getting all the necessary parts together, the actual assembly of your own Kiddie Car Wash is fast and easy. Granted, it takes more effort (and some budget) than the other projects. 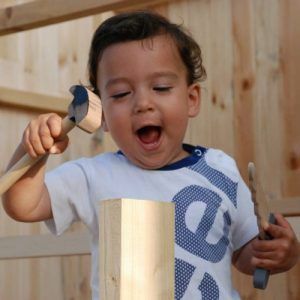 But the finished product results in more hours of independent outdoor play and that's exactly what we're after. 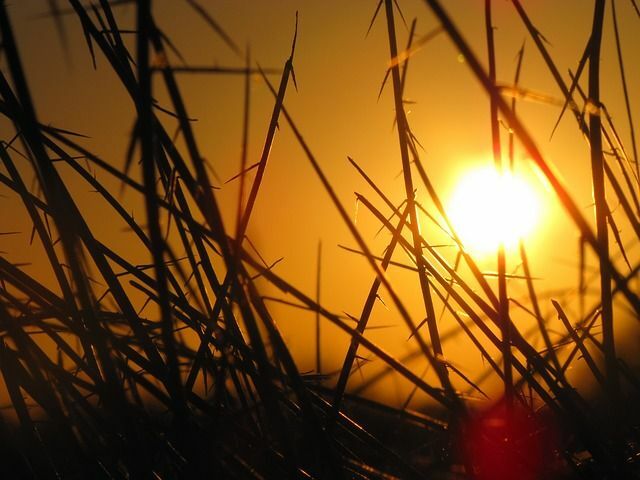 For you early birds: Get up an hour earlier and take the kids outside before school. 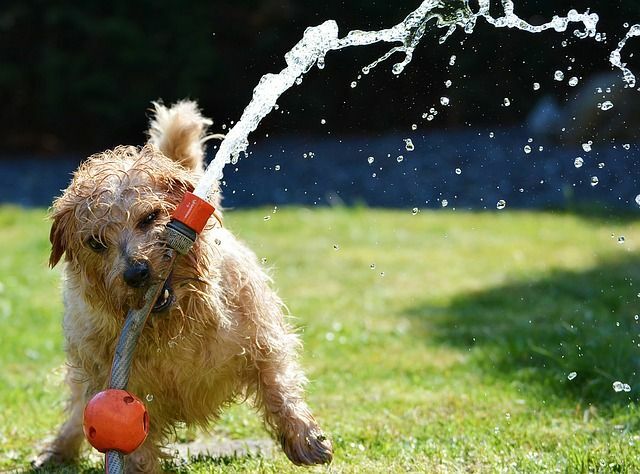 Go for a refreshing swim, a walk/cycle through the park or just a little play in the garden. And if you're a night owl like me and can't drag yourself out of bed, then just get home earlier instead. Ramadan hours create perfect opportunities for late afternoon swims, walks and water games. Shade provides relief and protection. Choose a shady spot for your activities. Natural shade not available? Put up a shade sail or gazebo over your main outdoor play & seating area. This will allow your kids to play outside longer plus it will extend the life time of your furniture. 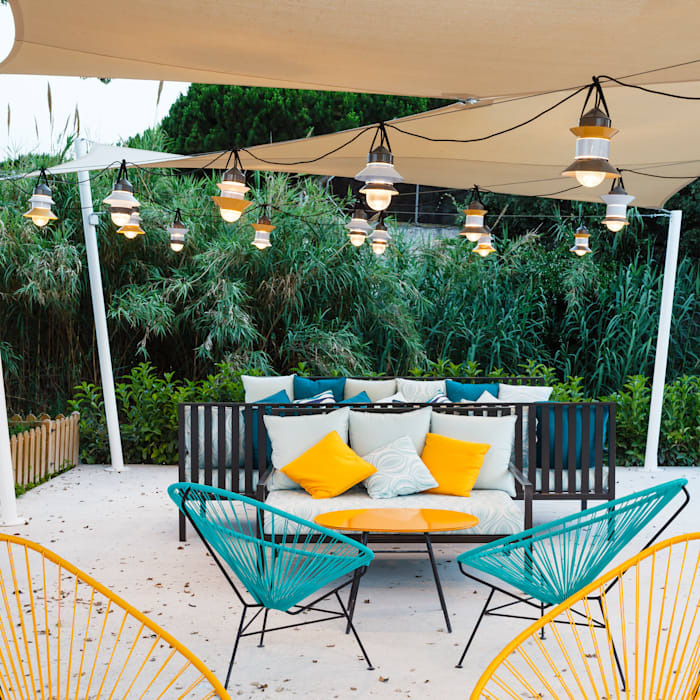 If space is an issue, go for an umbrella ; anything that gives shade is a winner. 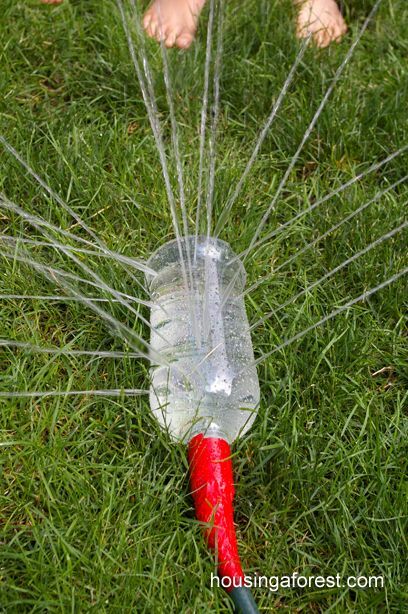 Get ready for some wet family fun and add water & ice to your garden games. Scale them up for your teenagers or water them down for babies and toddlers. Here is your list of best water games. Minimal preparation, budget and space required. A treasure hunt ignites every child's imagination and curiosity. For this variant, ask your pirates to excavate frozen treasures out of a block of ice. With different tools & techniques, kids will work their way through the ice crystals and claim their prize. 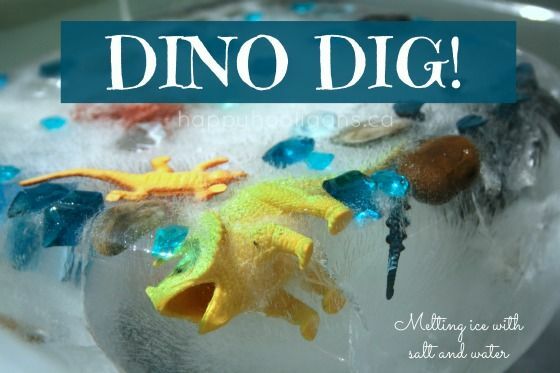 The ways of playing this ice dig game are endless, be creative! Turn it into a relay race, with new tools for every player, or create competitions with blocks of ice for each team. For young scientists, it 's a joy to analyse which tool melts the ice fastest. And for baby pirates, make the treasure hunt a sensory spectacle by adding food colouring to different layers of ice, creating an intriguing ice scape. The best clothing for hot and humid days, is the frozen kind! Play this easy game to quickly cool down. 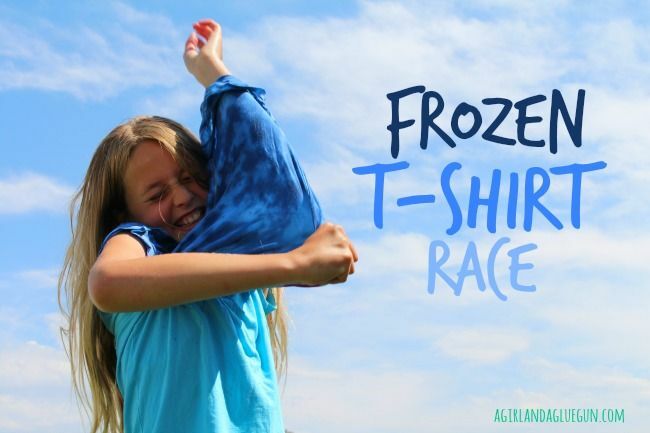 Soak a bunch of t-shirts in water, scrunch them up and freeze them well in advance. On game day, distribute the frosty textiles to all participants and let's see who is the first to get dressed. Water balloons to the rescue. 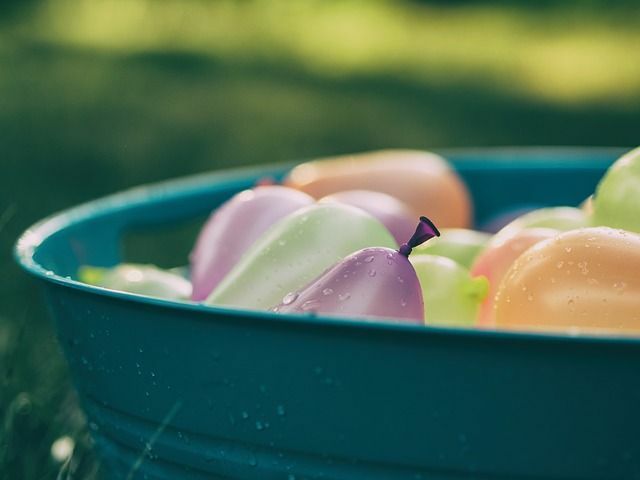 Water balloons turn any traditional garden game immediately into an exhilarating water game. Playing catch, tag, baseball or a good old egg and spoon race. Props needed are minimal, and no time is wasted on instructions or explaining rules. How low can you go? Another hilarious game that's quick and easy to play. Just line up the kids, open the garden hose and switch on some uplifting Salsa music. Everybody moves, dances and wriggles under (or through) the water stream, trying not to get wet. Lower the stream each round and keep all the players in the game - the one who isn't completely soaked at the end, wins. More water balloons! To play this pinata game, replace the usual candy with water and hide little plastic prizes inside. Hang the balloons - in a line or grouped together for a more dramatic bashing. Have kids take turns trying to hit the balloons with a plastic or foam bat (age depending a wooden stick is also fine). Blindfold older players and spin them around a couple of times before they can have their go. Chances are onlooking parents won't be able to resist getting stuck in. Manipulate the string the balloons are hanging from, bouncing them up and down. This results in hilarious action scenes, so cameras at the ready! 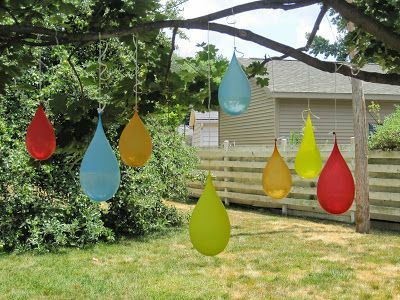 Test your water balloons in advance, to check if they are strong enough to hang. If not, change the game into a Balloon Baseball Bash. 3... 2... 1... BLAST OFF! Soaked sponges are launched, catapulted into the sky. Soaring high, then plunging down to eager hands awaiting to catch and squeeze. Goal of this game is to transfer water from one bucket to another as fast as possible using sponge rockets. The team who fills up their bucket first, wins. You need min 4 players to run a competition. Water games don't get any easier. Where limbo is all about "How low", this game focuses on "How far"? How much distance can you cover before the water runs out? Everybody forms a line behind each other. 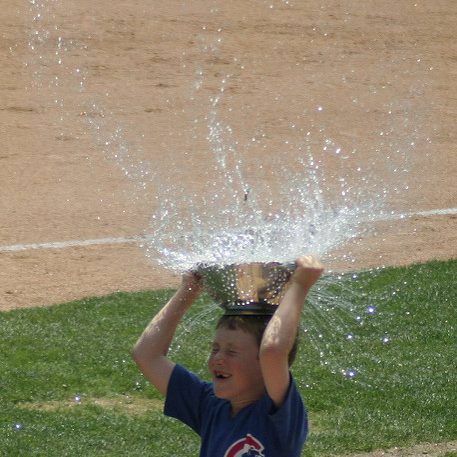 Fill your cup with water and pour it overhead to the player behind, who tries to catch it. After pouring the water, run to the end and get back in line. Continue until all the water is gone and measure your distance. Kids can beat their own record or compete in teams. Kids too clever and careful? Add some pressure by setting a time limit. And with this crazy game, we've reached the nr. 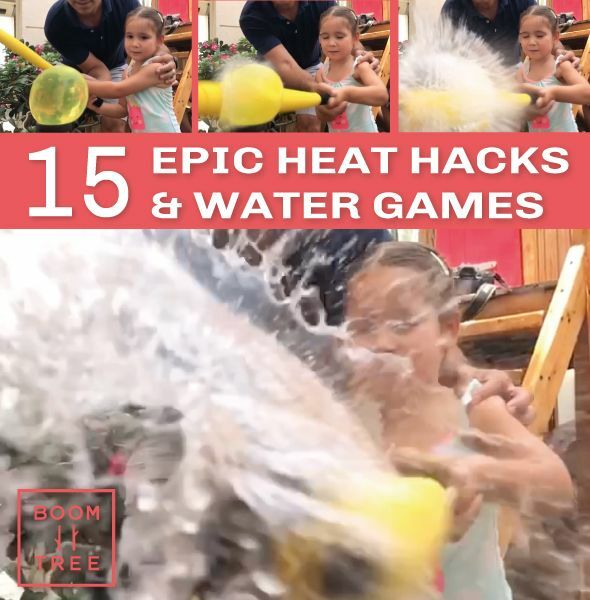 15 of epic heat hacks & water games. 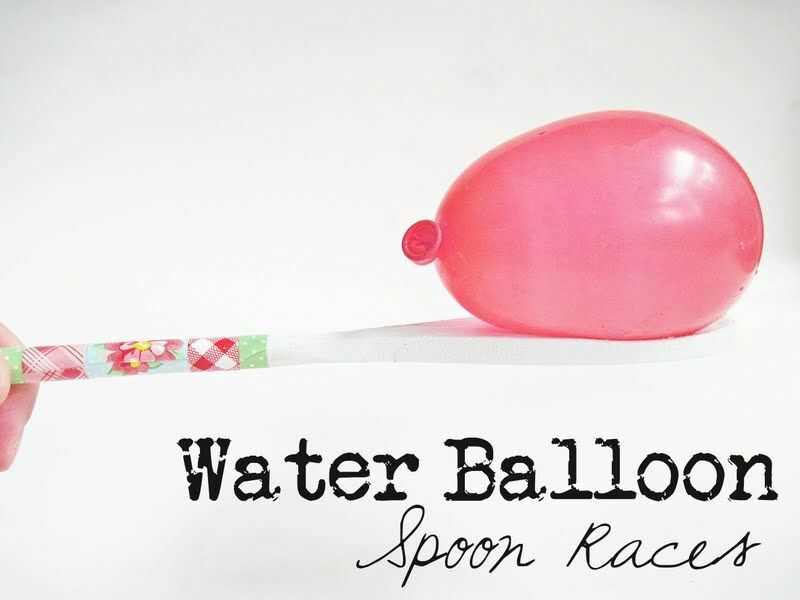 Fill up your water balloons, grab a colander and min 2 players. Throw & catch. 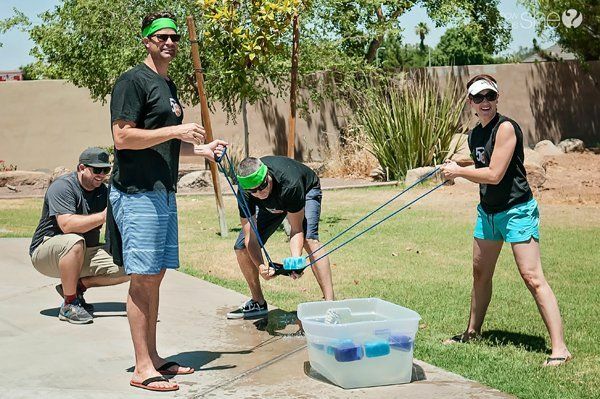 Each water balloon that lands in the colander (incl those that pop), counts for one point. Alternative option for bigger groups or birthday parties; Move it to the park and play a colander volley ball game.​ Fun guaranteed. There you go, that's your list. To stay cool and to beat the heat. To maintain their physical and your mental health. Happy kids = Happy You! Karin Louzado is a happy sleep-deprived expat mum of 2. She has lived in the desert for over a decade, travelled to 45+ countries and built a holiday home in Africa with her husband (and is still married). Karin now dedicates her time helping parents raise happy, adventurous kids. She loves liquorice, is addicted to stationary and tries her hand at pottery. Karin Louzado is a happy sleep-deprived expat mum of 2. She has lived in the desert for over a decade, travelled to 45+ countries and built a holiday home in Africa with her husband (and is still married). 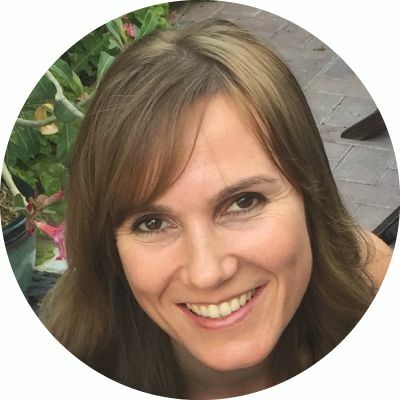 Karin now dedicates her time helping parents raise happy, healthy kids. She loves liquorice, is addicted to stationary and tries her hand at pottery.